Go hands-free with this trendy Wireless Air Buds! 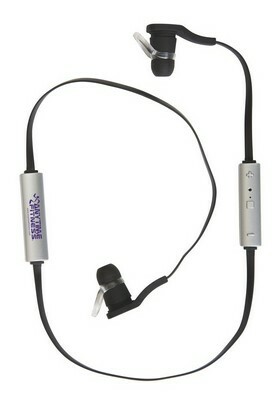 This Bluetooth compatible earbuds helps you to listen to music or talk on your phone on the go. It features arc supporters for improved stability, magnetic backs , multiple buttons with control and adjust functions and up to 10 yards working distance. Go hands-free with this trendy Wireless Air Buds! This Bluetooth compatible earbuds helps you to listen to music or talk on your phone on the go. It features arc supporters for improved stability, magnetic backs , multiple buttons with control and adjust functions and up to 10 yards working distance. With 6 hours of working time, this wireless air buds gives you maximum hearing pleasure and a great tradeshow or event giveaway. Imprint your logo and promotional message and pump up your brand in style!